The selected students are from six IITs - Delhi, Bombay, Madras, Kharagpur, Kanpur and Hyderabad. 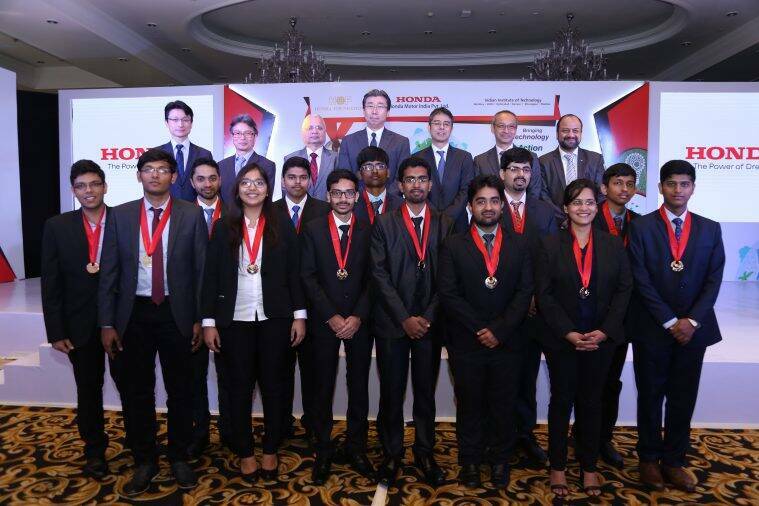 IIT Young Engineer and Scientist’s award: The Honda Motor India Pvt Ltd (HMI) has presented the ‘Young Engineer and Scientist’s award for 2017-18’ to 14 IIT (Indian Institute of Technology) students. They will get USD 3,000 each and will be sent to Japan for higher studies. The honour recognises the academic performance of students, a release issued by HMI said. The selected students are from six IITs – Delhi, Bombay, Madras, Kharagpur, Kanpur and Hyderabad. On the basis of their Cumulative Grade Point Average (CGPA), essays and two rounds of personal interviews their selection was made. Japanese ambassador in India Kenji Hiramatsu said India and Japan enjoy a fulfilling bilateral relationship. “I hope that through this opportunity, you will experience Japan’s advanced technological system and research, aimed at contributing to social causes,” Hiramatsu said. Shivangi Ranjan, a student from IIT Kanpur and an Y-E-S Awardee said, “By promoting eco-technology, the Y-E-S Award programme is supporting the green cause in a big way and I’m honored to receive this award today. This award has given us invaluable motivation to work for the environment through our research and knowledge.” Y-E-S Award is bestowed every year, to bright students of the IITs after a rigorous evaluation.